The Centre today submitted before the Supreme Court that it has dropped the proposal to create social media hubs to monitor social media including WhatsApp after which the bench headed by Chief Justice Dipak Misra disposed of as "infructuous" a plea filed by a TMC MLA Mahua Moitra challenging the move. On July 13 SC had warned Centre against any plan to snoop into one's whatsapp, email accounts or social media posts in facebook, twitter or Instagram. 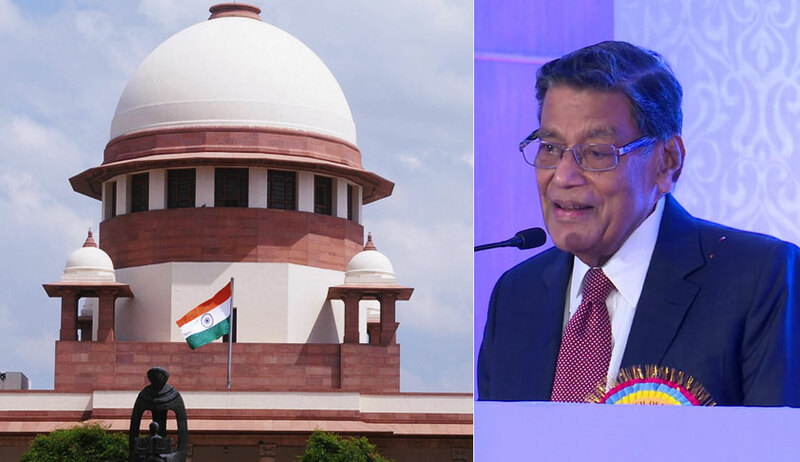 At the outset of today's hearing, Attorney General K K Venugopal told the bench of Chief Justice Dipak Misra and Justices A M Khanwilkar and D Y Chandrachud: "The petition has become infructuous. We are withdrawing the RFP (Request For Proposal)". The submission ironically came 17 days before the tender was to be issued. After AG's submission, the bench recorded: "the Union of India submits that it has withdrawn its request for proposal to set up social media hubs. In view of the aforesaid nothing remains to be adjudicated". The Centre’s plan had got into trouble as the Supreme Court warned that it amounted to nothing but creating a “surveillance state” and amounts to “sheer intrusion into privacy”. SC had taken a strong note of the Information and Broadcasting Ministry's decision and sought its response by today. Significantly, it had also sought Attorney General K K Venugopal’s assistance in the matter remarking: “It seems the government wants to tap citizens' WhatsApp messages. It will be like creating a surveillance state”. The proposed 'Social Media Communication Hub' was for collecting and analyse digital and social media content. The court order came on a petition filed by Trinamool Congress (TMC) legislator Mahua Moitra. Senior advocate A M Singhvi, appearing for Moitra, had said the government has issued request for proposal for social media hubs and the tender will be opened on August 20. “They want to monitor social media content with the help of this social media hub”, Singhvi had argued. A technology platform is needed to collect digital media chatter from all core social media platforms as well as digital platforms such as news, blogs... In a single system providing real-time insights, metrics and other valuable data, the tender document says. Under the project, media persons were to be employed on a contractual basis in each district to be the eyes and ears of the government and provide real-time updates from the ground. The tender document says the platform is expected to provide automated reports, tactical insights, and comprehensive work-flows to initiate engagement across digital channels. The platform may be used to disseminate content and hence, should support publishing features, the document says, adding the platform needs to power a real-time New Media Command Room, according to the tender document. It should also help the ministry to understand the impact of various social media campaigns conducted on Centre-run schemes, it says.